I recently ordered some new freshwater pearls in various colours that I needed. This is what arrived! I love the colours and natural textures that these pearls have as well as the almost luminous quality that some of the natural coloured pearls have below. My favourite ones are the pink ones at the front, although I love them all. I’ve already started to incorporated some of the purple ones into my designs, including this beaded bead necklace below. In this necklace, I’ve hand stitched tiny beads around a wooden core bead, which makes this necklace extremely tactile. I like to mix different types of glass beads in my designs including hand made lampwork beads and Swarovski crystals. Swarovski crystals are great if you want a lot of sparkle, but are especially nice when you only use a few to accent the design rather than overpower it. 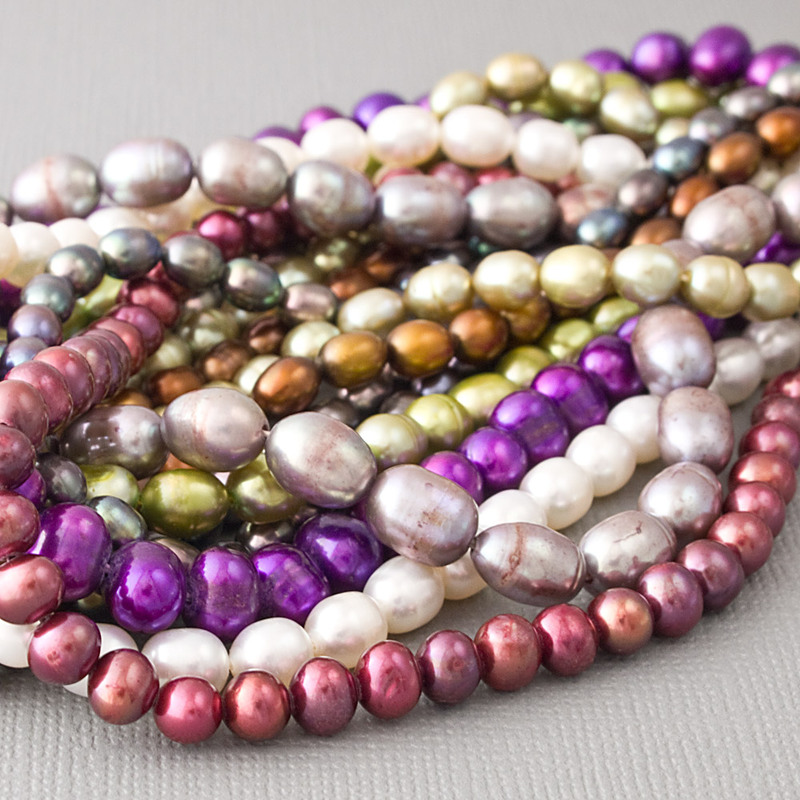 Again, I use the same principle with the freshwater pearls – a few can really enhance a design by giving it variety. One of my favourite types of glass, besides lampwork and Swarovski crystals, are fire-polished glass beads. 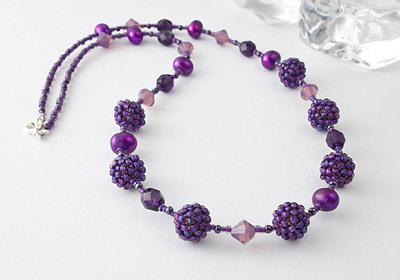 These are the purple faceted beads that I’ve used in this necklace. They reflect the light on the surface giving a gentle shine as the light catches the facets, unlike Swarovski crystals, which reflect light on the surface and through the bead increasing the amount of light reflected back.